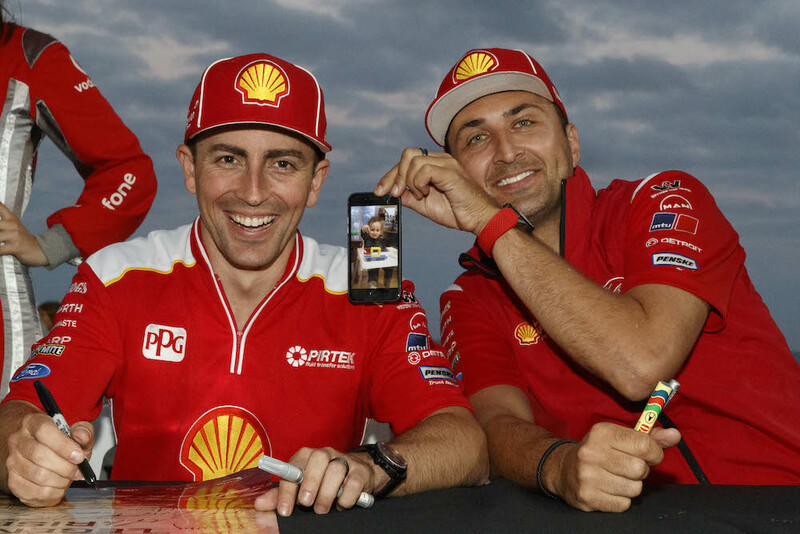 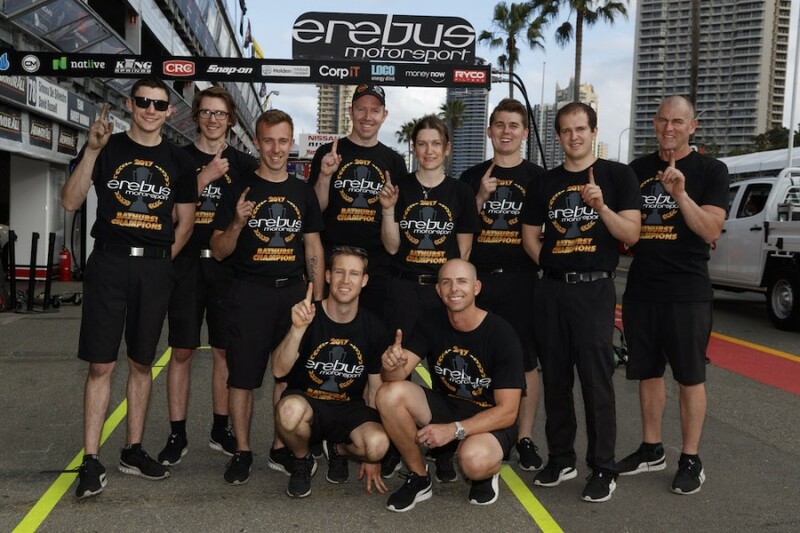 When the Supercars circus arrived on the Gold Coast, the Erebus crew weren’t letting anyone forget their new status as Kings of the Mountain. 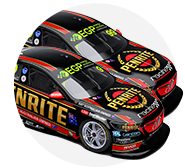 It wasn’t just t-shirts, either, with the #9 Penrite Holden itself getting in on the action. 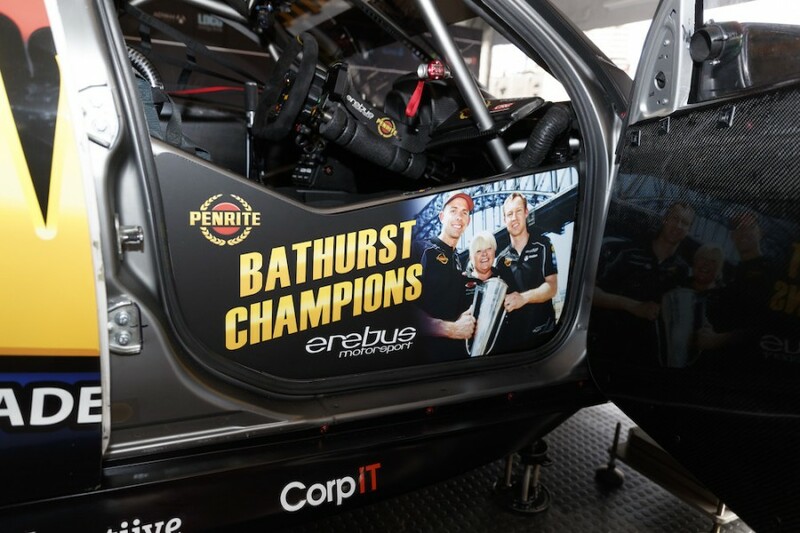 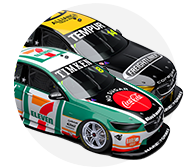 The Gold Coast even had a guest appearance from former Erebus CEO Ryan Maddison, who these days heads up the German Black Falcon GT squad. 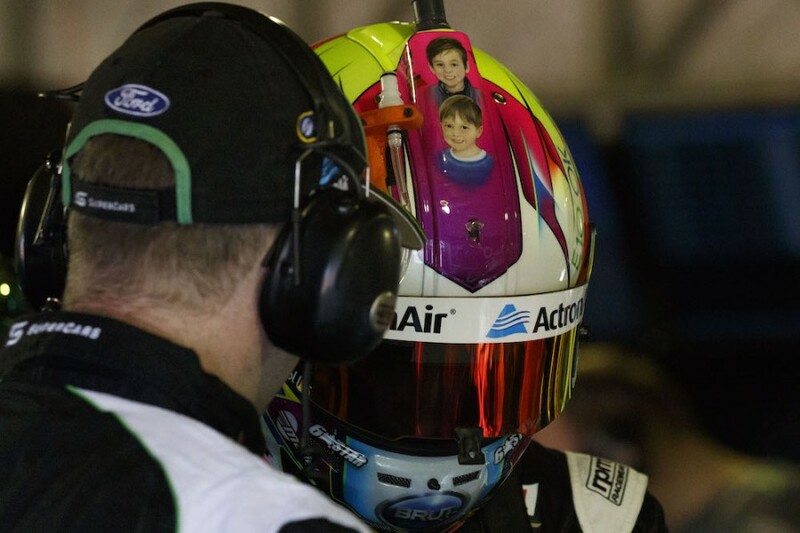 Mark Winterbottom, meanwhile, doesn’t even need to get his phone out to show off his youngsters. 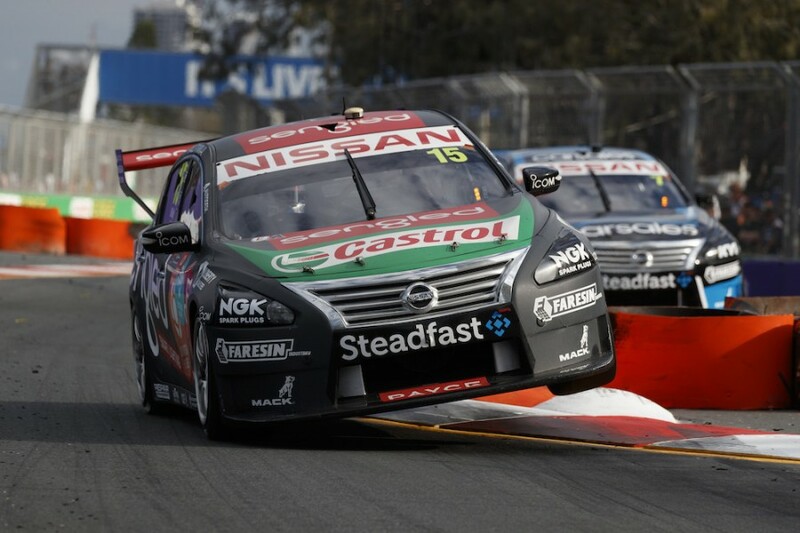 Practice on the Gold Coast is all about kerbs, with the brothers Kelly seen here taking rather different approaches through the beachside chicane. 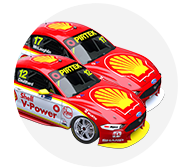 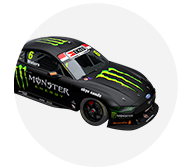 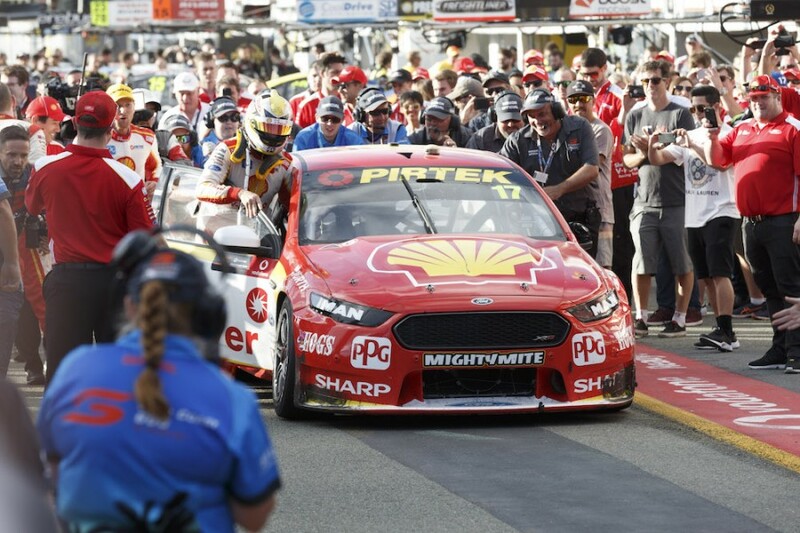 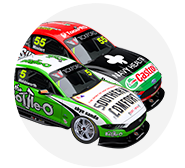 The Scott McLaughlin/Alex Premat Shell Ford was one of a number to take an early battering against the tyres as the drivers found the limits. 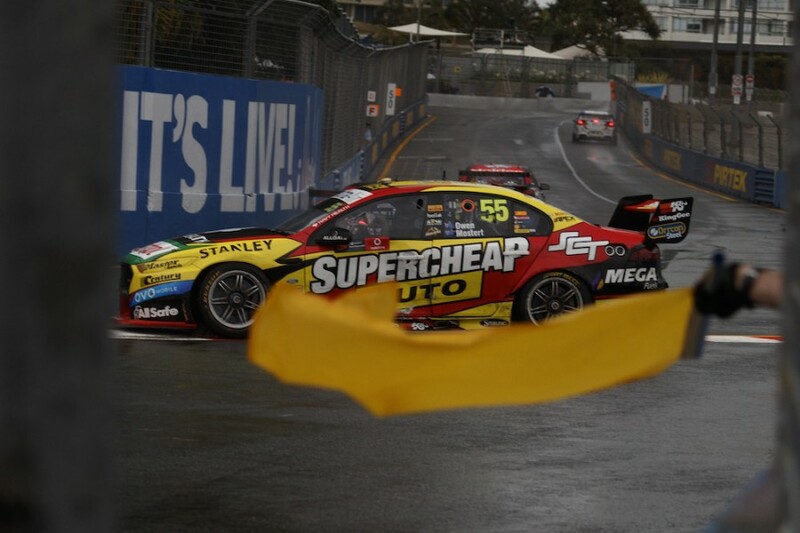 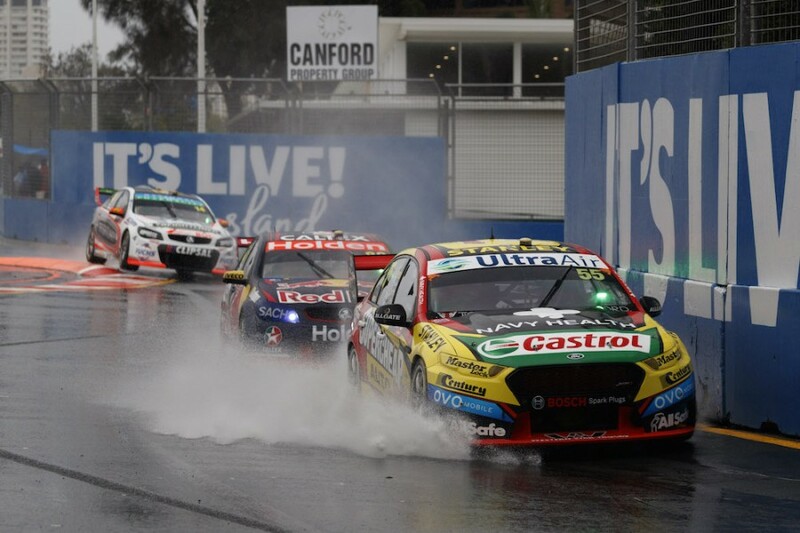 The Supercheap Ford won the race despite this incident for co-driver Steve Owen, who was left facing the wrong way after a punt from Paul Dumbrell. 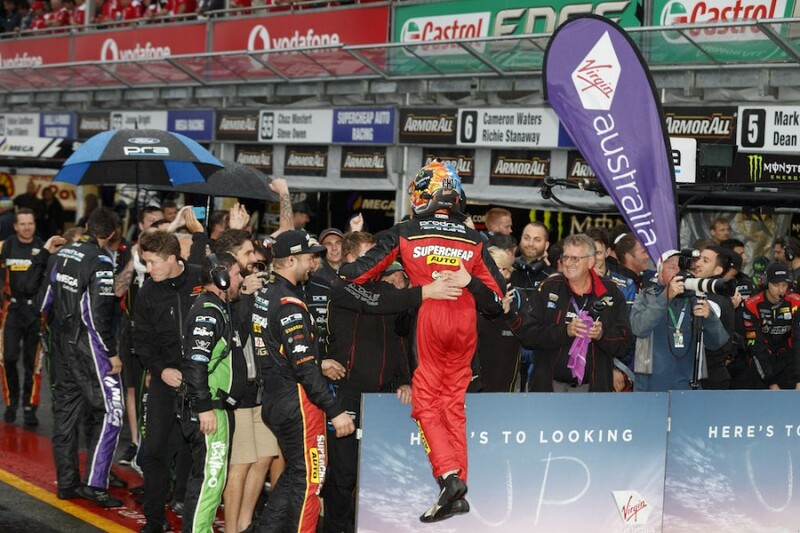 While Ash Walsh was there to greet third-placed Tim Slade, showing his support despite sitting out with fractured ribs. 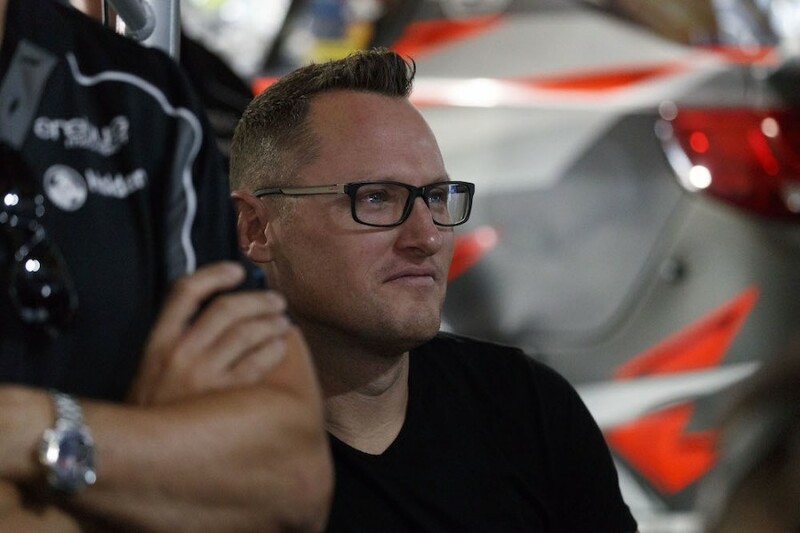 Third on Saturday was a great result for Slade and stand-in co-driver Andre Heimgartner, before things got a little too heated for the Freightliner entry in Sunday qualifying. 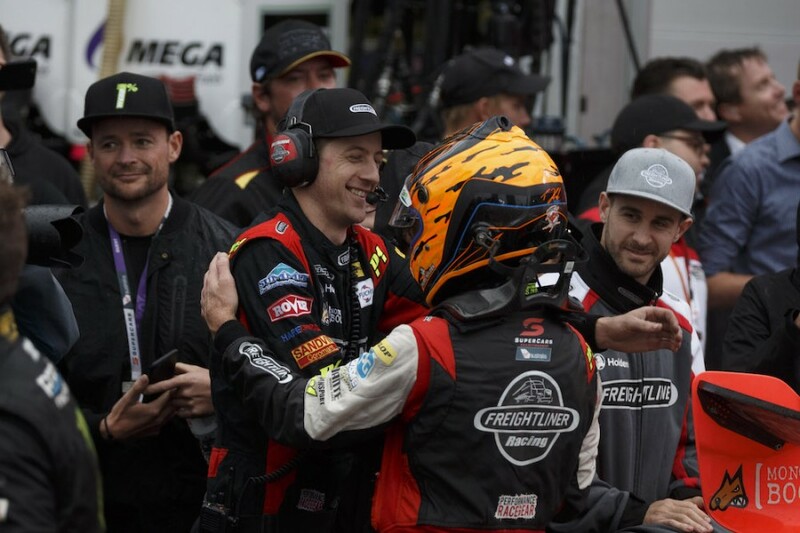 Sunday’s sweep of the Top 10 Shootout for the three Triple Eight entries brought a big smile to the face of team boss Roland Dane. 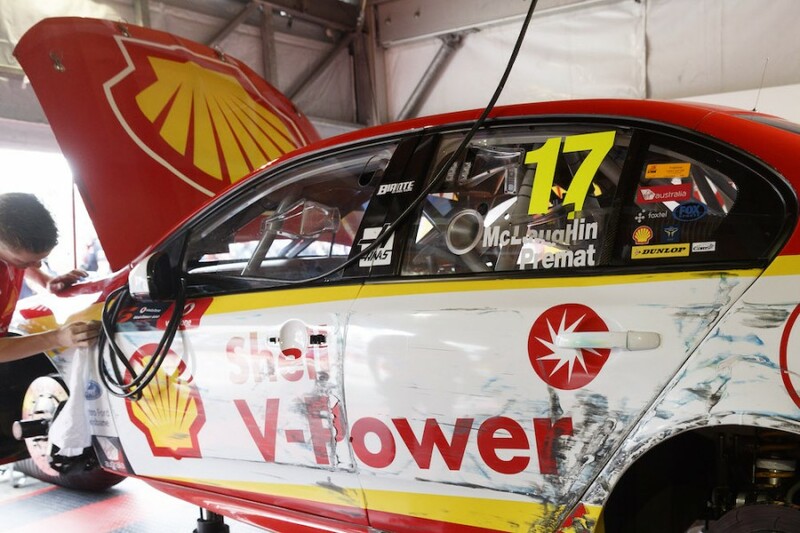 The race though belonged to their arch rivals, with an early final pitstop giving McLaughlin enough fuel to take the chequered flag, before needing his 'foot Falcon' to return to pitlane. 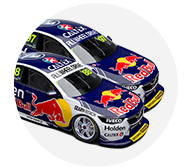 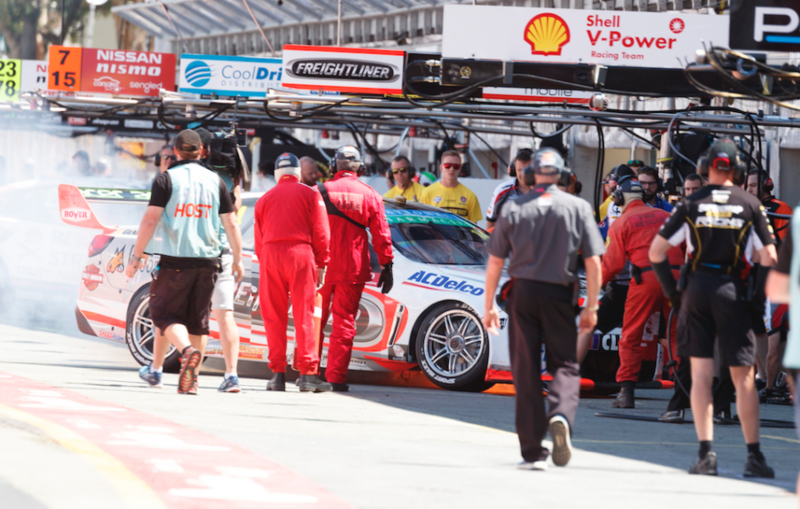 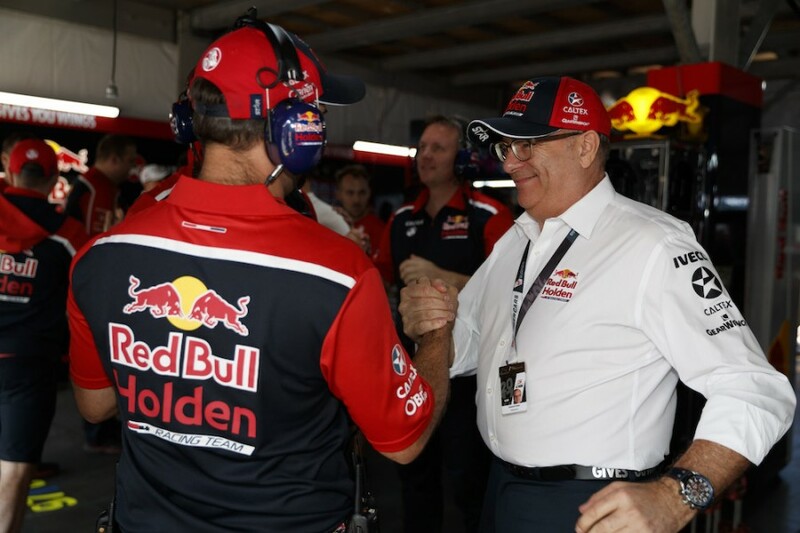 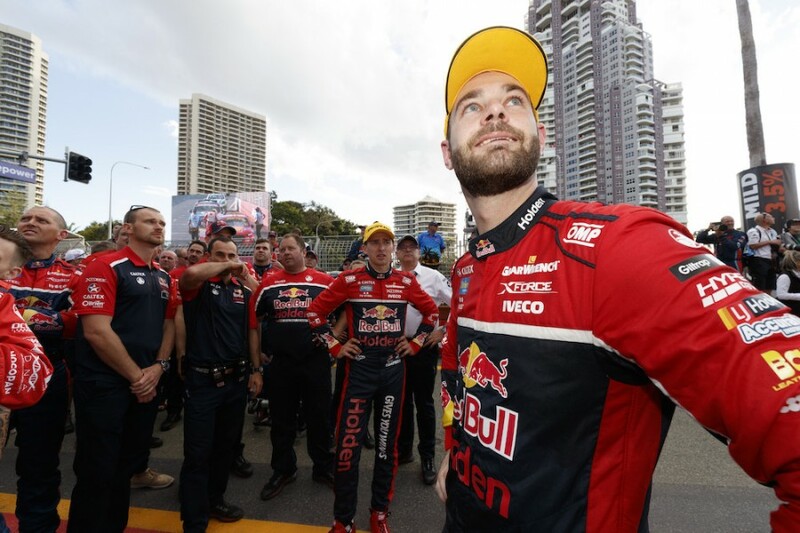 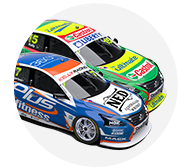 Third-placed Shane van Gisbergen cracked a smile as McLaughlin alighted from the stricken Ford, while the rest of the Red Bull team pondered what might have been.